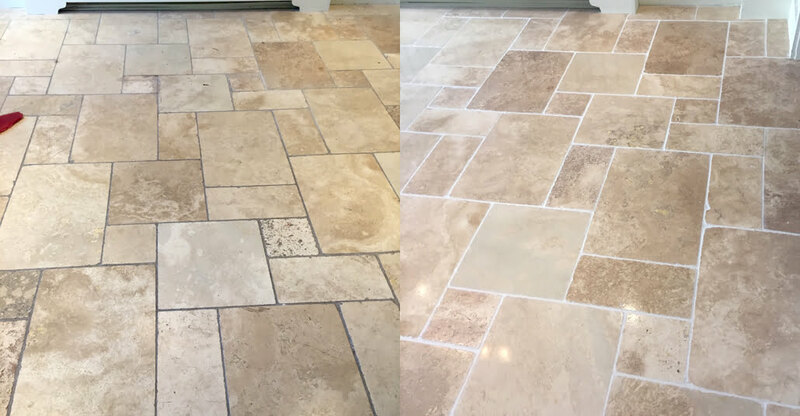 Dirty or discoloured grout can be colour sealed, changed and enhanced to transform your entire floor. Grout is often considered the last step in a tile installation, however the colour of your grout is what pulls the look of your whole floor, walls or showers together. Grout can deteriorate and become discoloured quite quickly, because it isn’t as resilient as your tiles. Grout is made of cement, which is very porous. This means liquids and oils seep into your grout, staining and discolouring it. 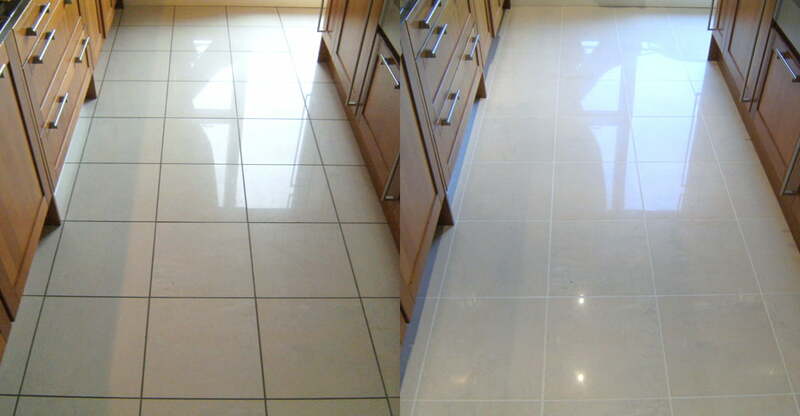 Grout cleaning is carried out during the initial marble and stone floor cleaning process. Grout cleaning is carried out using industrial scrubbing machines with special attachments. In order to keep your grout looking fresh, we recommend sealing your grout joints with a topical grout sealer, as this will help slow down the discolouration process. Generally, the grout comes up very well during the cleaning process and clients are amazed at the transformation. However, in some cases the grout has deteriorated to the point where further intervention is required. Grout can also be raked out and replaced. 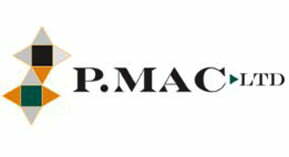 We have special machines designed for this which will not damage the stone in any way. 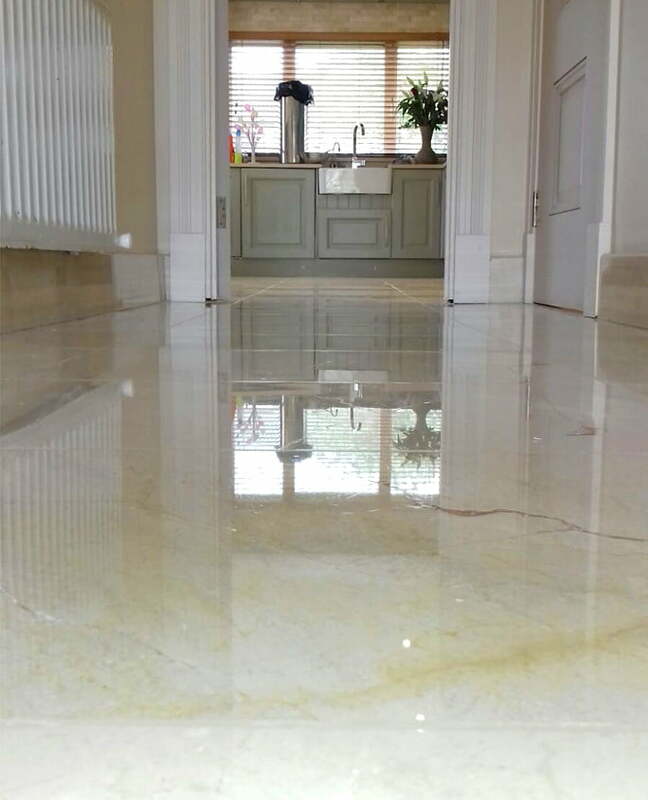 Sometimes, grout can be so badly stained that it ruins the look of your floor and we recommend colour sealing it. 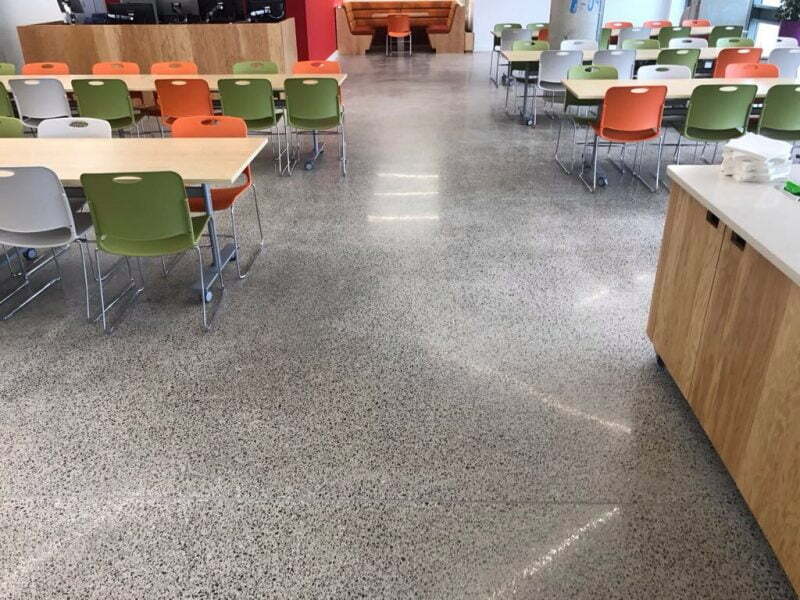 Grout can be dyed if the colour has seriously deteriorated, or if a change is required. This is a very labour intensive task, as each grout line needs to be carefully painted and sealed once dry. However, the difference in the end is very dramatic. You can also find more information about grout and how to restore grout on our blog post.